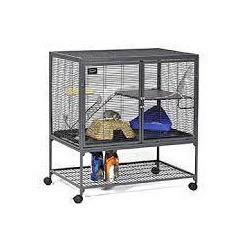 We are reckoned firm actively involved in providing a high-quality range of Steel Rabbit Cage .These are available at nominal prices. We have marked a distinct position in the market by providing SS Cage Trolley. This range is manufactured by our skilled professionals in compliance with the international standards utilizing quality tested aluminum. We are the prominent manufacturer and supplier of a superior quality range of Stainless Steel Animals House . 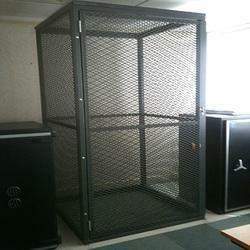 Our renowned firm is actively involved in offering the superior quality range of SS Cage Trolley. S.S. Cage Trolley with wheels has many applications in Material handling & Material Transferring. Mtrl Finish = Brush Buff / Powder Coated or Spray Painted. Being a leader in the industry, we are engaged in offering a qualitative range of SS Cage Trolley to our customers.